Last week we talked about Laravel Homestead, a prepared local development environment for PHP built on Vagrant by Taylor Otwell, meant to serve as a common starting point for all Laravel (and possibly other PHP) projects. If youâ€™ve missed that post, I encourage you to give it a read and get familiar with Homestead as your next starting environment. A week before that, we talked about the end of beta for 5.6, and the beginning of the RC program. The PHP core development team encourages people to play around and test with RC editions, and to submit build feedback back to them, so that they may gather some usage statistics and possible build errors to address in the next release. 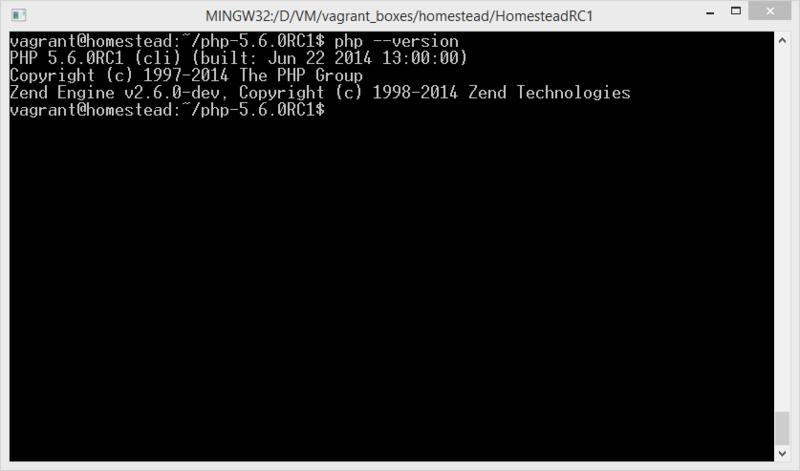 PHP 5.6 RC1 has been released some days ago, and can be downloaded. In this post, weâ€™ll have a quick look at how we can install it over the regular PHP in Laravel Homestead and report the build feedback back to the QA site. To prepare, please read the original Homestead article and follow it to the letter until you have a working VM up and running. Depending on when you read this, the link may be different due to other RCs already being out. Next, unpack the downloaded archive and change the directory to the newly created one. 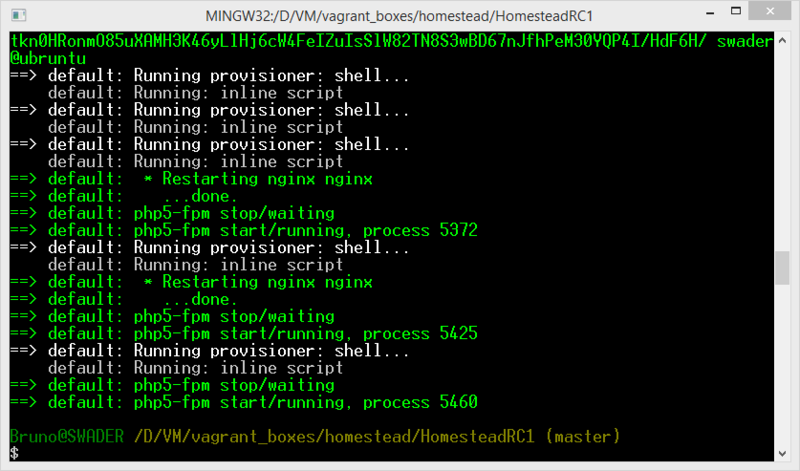 We need to enable FPM because the Homestead PHP is built as FPM and Nginx consumes it as such. If we want to replace the Homestead-installed PHP with our own, we need to enable-fpm before compiling. make will compile PHP from source and report any errors it encountered. It might take a while depending on your processing power. This command will run tests for the compiled PHP, and might take a while depending on your configuration values, and the power of your VM and host machine. All the core functionality of PHP will be tested and once done will be sent to HQ if you so choose – please do, these reports help the core development team pinpoint problems before they occur in production releases. The submission process is iffy and thereâ€™s no confirmation dialog when giving your email address, so be careful to write it right the first and only time – see gif below. While the building and installation of RC1 into Homestead was purely â€œselfishâ€�, as in, we get to use it and play around with it, we can further improve the selflessness of the matter by submitting test reports from other platforms and with other configuration values, too. For example, take a look at the various configuration values you can change to produce different compiled versions of PHP, then submit test results of those iterations. Try booting up a different OS in a different VM instead of Homestead, and install the RC1 there – theyâ€™re looking for test results from various operating systems, from Windows to CentOS and others. Finally, play around with RC1, test the new features and report bugs you find. Letâ€™s work together and make the next version of PHP the best one yet.